This is MBA project report on Procurement Process which is carried out at FMCG industry India Food Company ltd. which is a Leading biscuit manufacturing company in India in terms of retail sales and manufactures variety of biscuits. It is an integrated, research based FMCG company, producing a wide range of quality, affordable and tasty biscuits, trusted by healthcare professionals. You can also Subscribe to FINAL YEAR PROJECT'S by Email for more such projects and seminar. Objective of this project report are to Study & implement Procurement process along with batch management at IFC ltd into SAP ECC6.0. and to integrate the “Down payment & Vendor invoice” of finance at IFC ltd into SAP ECC6.0. 1. To understand various stages of procurement process that takes place in the organization. 2. 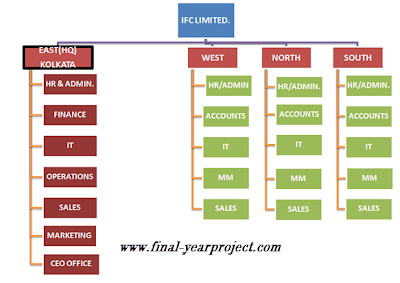 Study and mapping of batch management. 3. To create various policy for vendors. 4. To study the concept of Down payment & Vendor invoice. Procurement process defined for IFC LTD takes into account all the steps included in purchase cycle & the documents used to manage the purchasing process. Also it includes the processing of material in batches & vendor creation. The business process of IFC limited which was studied is implemented in SAP R/3. There are various benefits as an integrated solution such as SAP in an organization. Commercial benefits would include having a single source for your financial information. Capturing your business transactions in one location allows you to easily review inventory, customer and vendor activity. Use this report for your reference and study work only.